May 10 is a day to come together and reflect on and talk about why workplace safety and health matter in our lives. It’s a day to put safety into action and to renew our commitment to preventing on-the-job injury, illness and death. 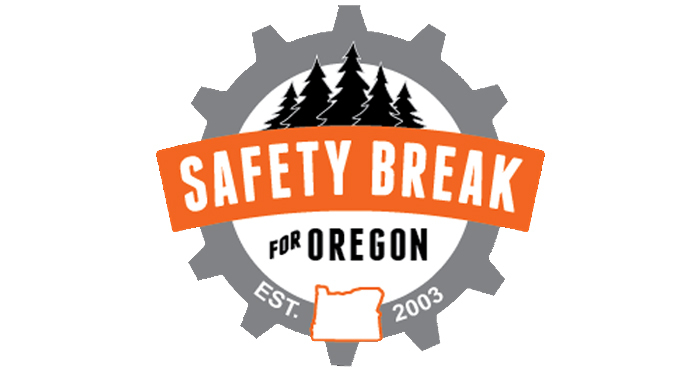 Employers across Oregon are invited to participate in Safety Break for Oregon on Wednesday, May 10, event aimed at raising awareness and promoting the value of safety and health in shielding workers from harm. Now in its 14th year, Safety Break encourages employers to bolster workplace safety and health with training, award recognition gatherings, or other creative activities. Oregon OSHA coordinates Safety Break, which is voluntary for employers. Businesses and other employers can decide what activities are most beneficial to their workforce. Companies that participate will be entered to win one of three $100 checks, to be used for a luncheon of their choice, when they sign up online by Friday, May 5: http://osha.oregon.gov/safetybreak/Pages/signup.aspx.